Fred Scully waits at the arrival gate of an international airport, anxious to see his wife and seven-year-old daughter. After two years in Europe they are finally settling down. He sees a new life before them, a stable outlook, a cottage in the Irish countryside that he's renovated by hand. He's waited, sweated on this reunion. He does not like to be alone - he's that kind of man. The flight lands, the glass doors hiss open, and Scully's life begins to go down in flames. It all starts with the radio. Dorothy's husband has left for work, and she is at the kitchen sink washing the dishes, listening to classical music. Suddenly, the music fades out and a soft, close, dreamy voice says, "Don't worry, Dorothy." A couple weeks later, there is a special interruption in regular programming. The announcer warns all listeners of an escaped sea monster. That afternoon, the seven-foot-tall lizard man walks through Dorothy's kitchen door. She is frightened at first, but there is something attractive about the monster, and the two begin a tender, clandestine affair. Georgie Jutland is a mess. At 40, with her career in ruins, she finds herself stranded in White Point with a fisherman she doesn't love and two kids whose dead mother she can never replace. Her days have fallen into domestic tedium and social isolation. Her nights are a blur of vodka and pointless loitering in cyberspace. Leached of all confidence, Georgie has lost her way; she barely recognizes herself. 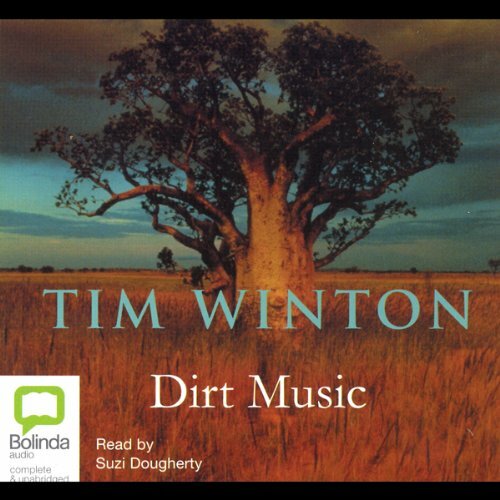 In prose as haunting and beautiful as its western setting, Dirt Music confirms Tim Winton's status as one of the finest novelists of his generation. What did you love best about Dirt Music? 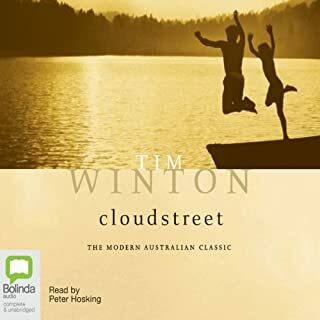 I love Winton's writing and his ability to paint such a powerful picture of Western Australia's landscapes and people. This was a good story, if a little predictable, but well developed and had a satisfying ending. What other book might you compare Dirt Music to and why? 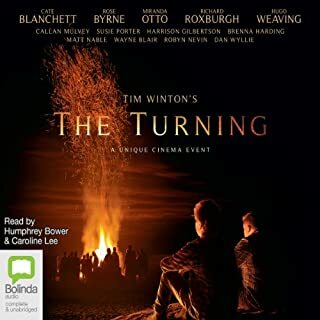 It was my second Winton audiobook, after "Breath", which I'd loved. 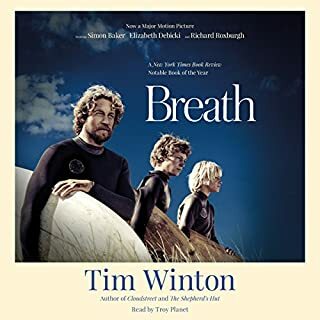 The narrator in Breath had managed to inhabit his characters fully and present the story with full understanding of the text, which brought it very much to life. The narrator in Dirt Music seemed often to lack understanding of what she was reading and I found myself thinking "I'd have read that passage differently" to give a different emphasis and atmosphere. Everything was read with much the same intonation, which became like a repeating tune after a while. I found myself trying to appreciate the story in spite of her, rather than because of her delivery. 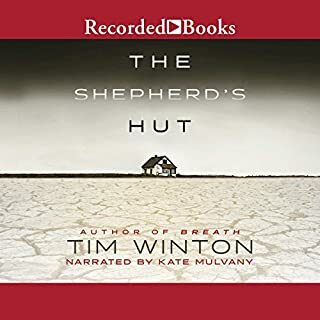 I enjoyed this book despite my disappointment with the narration because Winton's characterisation and description lifted it beyond the telling of it. Would you consider the audio edition of Dirt Music to be better than the print version? Which character – as performed by Suzi Dougherty – was your favorite? Fantastic describtion of characters and scenerie. - I sometimes struggled to follow the story but in the end everything fell in place. 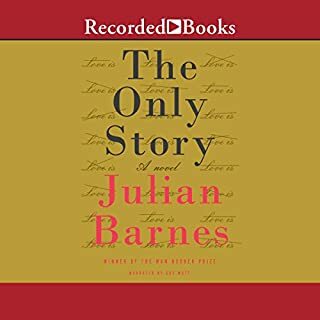 This audio book is mesmerisingly brilliant. As a first encounter with Tim Winton my husband and I were in awe of the quality of his writing, story telling and evocation of place. It also has real poetic and spiritual depth which came as a surprise as the novel progressed. The narration is great, it never detracts from the book. It has wonderful characters and includes a road trip which I always enjoy. It is pitch perfect, great unfolding and ending. What more can I say? I’m amazed everyone hasn’t given it five stars. I’ve been reading and listening to novels all my life and this is one of the best I’ve ever come across. Pure magic. I can’t starting reading or listening to anything else for a while afterwards as I become so attached to the characters I need to keep thinking about them. I miss them when it’s over. I’m going to read everything by him. Densely, layered characters. Wonderful imagery. Excellent narration. Can not recommend enough. I wiil search more by Tim Winton. The editing needed some work at the start. sounds like the story cuts in and out. A bit too Crocodile Dundee meets Blues Brothers. I found the music theme unidimensional. I wanted more in that department. The ending seemed contrived, the characters stereotypes of Aussie fringe dweller types. I finished it, but it dragged at times. 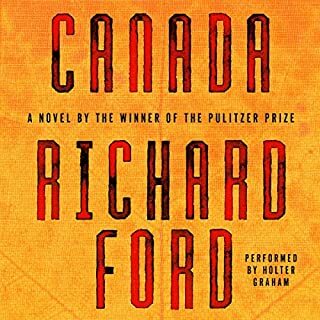 Enjoyed the start and the middle, but the ending was somewhat inconclusive. However it made driving up and down the Hume Freeway ad nauseum more bearable. The writing isn't bad unfortunately it's the plot that lets this novel down; meandering, bland and boring.